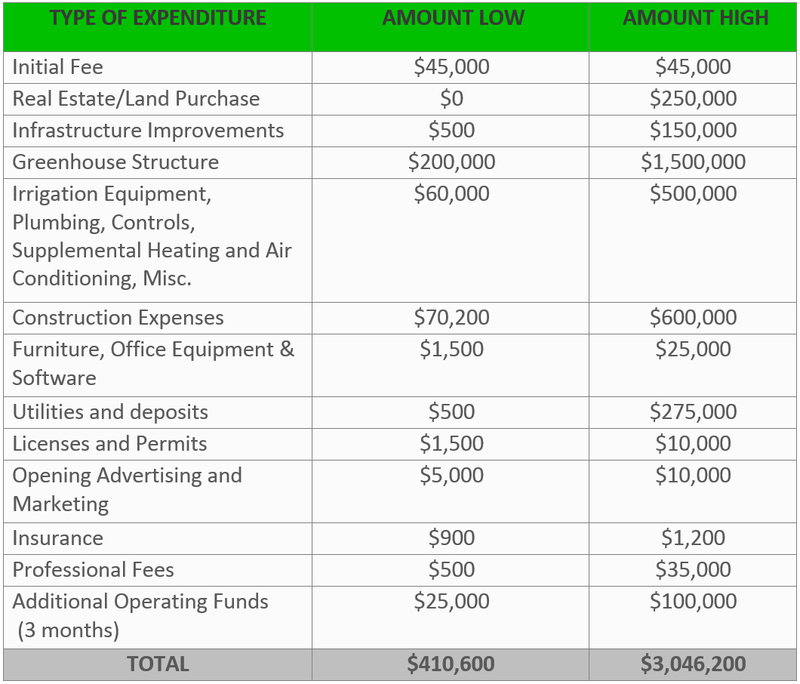 The following costs are excerpted from Got Produce’s Franchise Disclosure Document (FDD) and are estimated. Each Got Produce franchisee has the right to initially develop one unit franchise for the franchise fee of $45,000. The difference between low and high investment levels exists due to labor, location, varying model size, build out costs and expenses, and your experience and management of the development of the store. Costs vary by model size and crop type. Our GP-20 model reflects the lowest cost to entry. Need Financing - We can help! We have created relationships with key lenders. There are several third-party financing options you can choose from, including small business loans, Rural Business & Industry loan guarantee programs or retirement or pension fund rollover funding.